Lesson 1: What was the Self-Strengthening Movement and why did it fail? Content: Causes of the Self-Strengthening Movement, Divisions within the Imperial Court, Leaders of the reform movement, Aims of the reform movement, Role of Zeng Guofan, Role of Prince Gong, Role of Li Hongzhang, Reasons for the failure of the self-strengthening movement, Practice Exam Questions. 3. Research and write a biography/obituary of no more than 200 words for each of the following reformers, focusing on their roles and achievements between 1861-1894: Prince Gong, Zeng Guofan, Li Hongzhang and Zuo Zongtang. 1. The Search for Modern China by Jonathan D. Spence, pages 192-122 (available in Room 310). 2. Chinese Encounters with Foreign Ideas in the Self-Strengthening Movement (1861-1894) by Daniel C. Palm Ph. D from the Azusa Pacific University, California. 3. Nice overview website summarising the work of Jonathan Spence on the Tongzhi Restoration. Historical Drama starting in 1839 in Guangzhou where British merchants dealing with opium are to be executed because the opium is destroying the Empire. Gives good background about the Opium War. Video lecture giving details about the Taiping Rebellion and Self-Strengthening Movement. 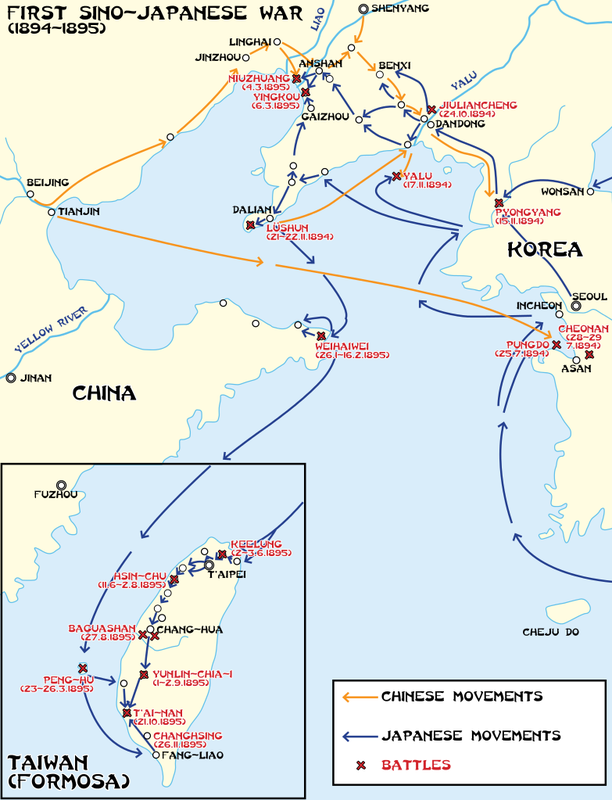 Lesson 2: What was the Impact of the Sino-Japanese War (1894-95) on the Self-Strengthening Movement? Content: Causes and effects of the Sino-Japanese War on the Self-Strengthening Movement, Continuation of the reform movement by conservative scholars, Role of Kang Youwei and Liang Qichao as radical reformers, Role of Imperial Court politics, Emperor Guangxu and the 100 Days Reforms, Ending of the reforms, Reasons for the failure of the reforms, Consequences of the 100 Days Reform for China. 2. Download these document-based questions about Kang Youwei, and answer questions 1-5. 3. Answer entirely or complete an essay plan(s) for at least one of the essay questions at the end of the Lesson PowerPoint. 4. Make a table/mind-map of the causes, events and effects of the 100 Days Reform. Also include the reasons for its failure. 1. The Search for Modern China by Jonathan D. Spence, pages 223-229 (available in Room 310). 2. The Rise of Modern China by Immanuel C. Y. Hsu, pages 355-386 (available in Room 310). 3. Good summary website on the 100 Days Reform. 4. Excellent site summarising the various historiographical views on the 100 Days Reform. 5. Another excellent webpage summarising the events of the 100 Days Reform into revision notes. Detailed and well-explained video lecture about the 100 Days Reform (1898) and Boxer Uprising. Lesson 3: What were the Causes and Consequences of the Boxer Rebellion? Content: Causes of the Boxer Rebellion, Events of the Boxer Rebellion, Consequences of the Boxer Rebellion. 2. Download this excellent Study Booklet on the Boxer Rebellion and answer all questions within. Contains useful historiography on the Boxer Rebellion. 1. The Search for Modern China by Jonathan D. Spence, pages 229-233 (available in Room 310). 2. The Rise of Modern China by Immanuel C. Y. Hsu, pages 387-407 (available in Room 310). 3. 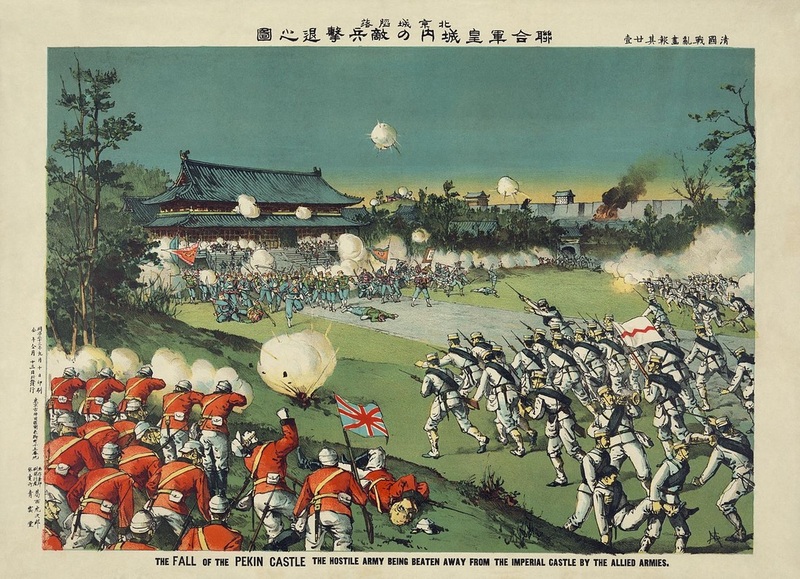 Superb BBC Podcast on the Boxer Rebellion. 4. Comprehensive Revision Notes on the Boxer Rebellion. Lesson 4: How and why did the Late Qing Reforms fail? 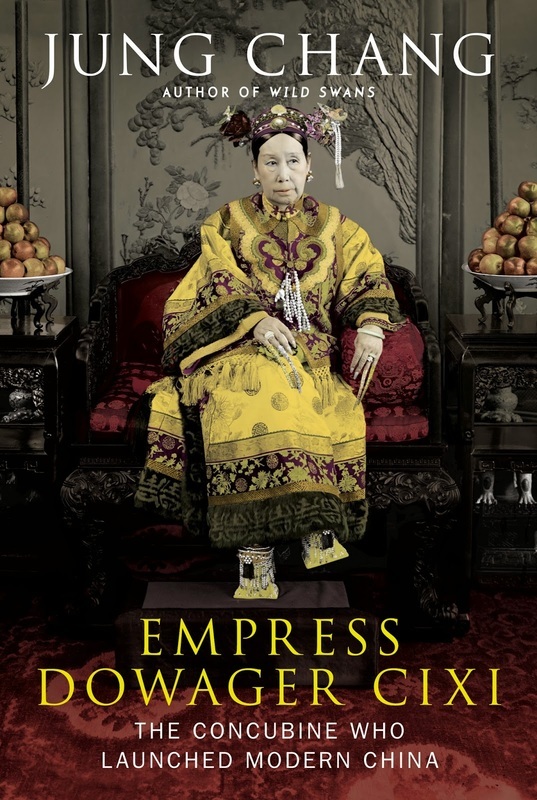 Content: Impact of the Boxer Rebellion, Cixi's Reforms, Constitutional Movement, Centralisation of Manchu Power, Death of Cixi, Reforms under Prince Chun, Reasons why the Reforms failed. 2. Answer entirely or complete an essay plan(s) for at least one of the essay questions at the ends of the Lesson PowerPoint. 3. Download these Document-Based-Questions on Cixi's Reform Edict of 1901 and answer questions 1-4. 1. The Rise of Modern China by Immanuel C. Y. Hsu, pages 408-418 and pages 419-437 (available in Room 310). 2. Website of Revision Notes for Late Qing Reforms. Lesson 5: To what extent was Sun Yat-sen responsible for the 1911 Revolution? Content: Events of the Revolution; Sun's Early Life, Ideas and Contributions to the Revolutionary Movement; Long-term, Medium-Term and Short-term causes of the Revolution; Evaluating the Causes of Revolution. 2. Complete the essay question at end of PowerPoint. 1. The Rise of Modern China by Immanuel C. Y. Hsu. 2. Excellent Podcasts on the Chinese Revolution of 1911 by Professor Rana Mitter, University of Oxford. 3. Comprehensive Revision Notes on 1911 Revolution and Sun Yat-sen's role.